This is boring and not worth reading. I take things apart. I break them. Then I put things that don't belong back inside them. It all started when I was about 9 or 10. We've had an Apple ][c for as long as I can remember, but when we got a Macintosh SE, our Apple ][c and a vast array of disks were handed down to my sister and I. One had an Apple BASIC tutor where I first learned how to make the computer display and do what I wanted it to - without loading software! I was fascinated and hooked. 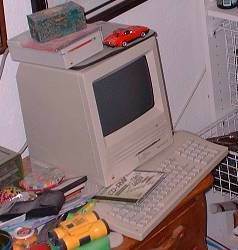 Later on (~1993) we got our first PC. With it came QBasic - wow, a whole new world. Browsing its help file's index on all the commands and functions, I was churning out useless programs in no time! And this colored graphic environment, Windows? Visual Basic, here I come. I programmed for DOS with QBasic and Windows with VB for the longest time. Around the year 2000 I've picked up Assembly, then C and have since migrated to using just those. I still use VB once in a while to make quickies to do things that would take too long to do by hand - It's MUCH faster to write a program in VB than C. I am completely self-taught, I can proudly say there isn't and has never been a single programming book in my house. I also have dabbled in programming for MacOS, I really need to focus on that. Apple has FREE programming tools for C(++) and Pascal in a kit called Macintosh Programmer's Workshop (MPW). It's a bit odd, but it gets the job done. And it's free! This is the Apple ][c I started on. It's not modded or anything. I have a joystick, mouse, "Kola Pad" (tablet) and a 2nd, external floppy drive for it. I have a ton of disks, and some manuals. 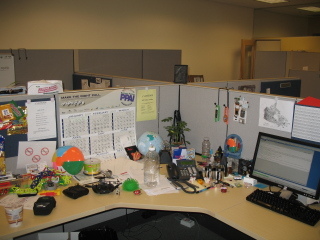 I used to have the original green-screen monitor on a stand, but my sister threw it out! And this is the MacSE. 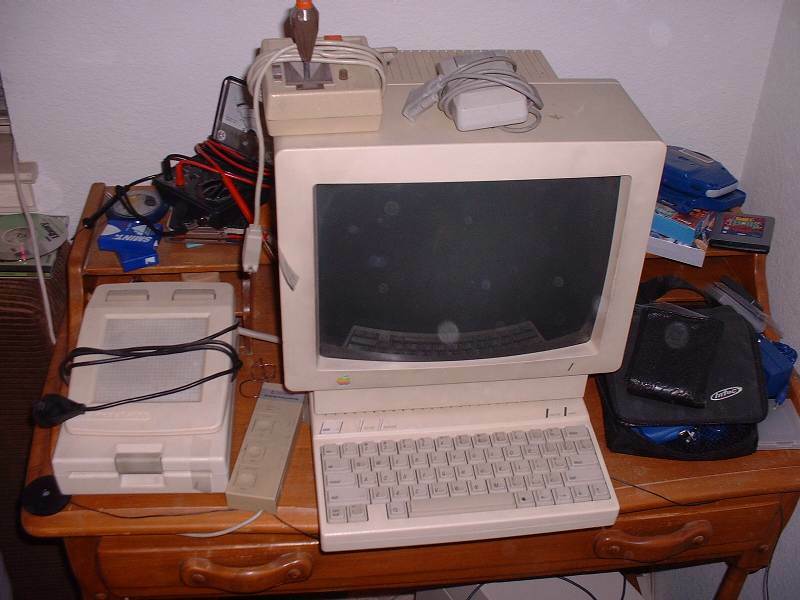 It was upgraded to 2MB memory, has a motorola 68000 chip, 20MB SCSI drive and a built-in B&W monitor. 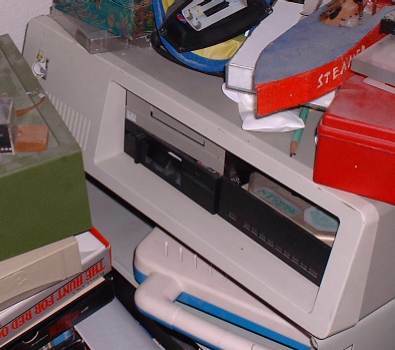 The floppy drive it came with was FDHD meaning it could use 1.44MB floppies, but it broke. It now has a drive which can only use 800k floppies. I managed to download the contents of the harddrive over its serial port, and can now run it in an emulator. It is running System 6.0.8. 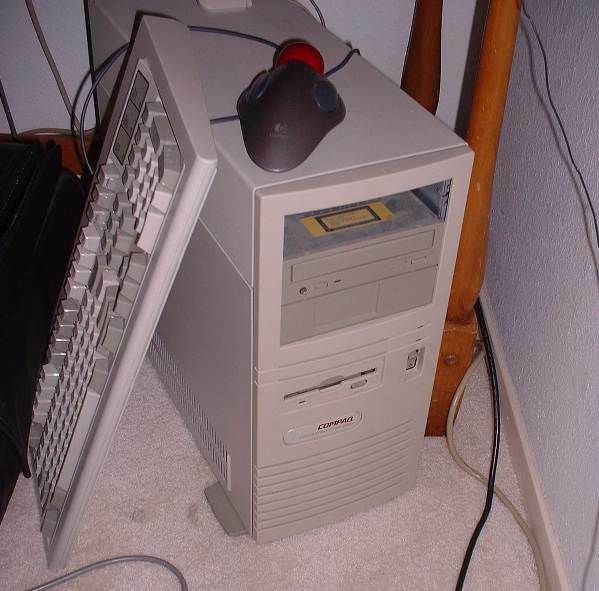 The fisrt PC mentioned above is a Compaq Presario 486DX2 66MHz, 24MB RAM, with the original 200MB drive and a newer 1GB drive. It has integrated SVGA video and a SoundBlaster 16 card. It is running Windows 95. I had the Compaq for many many years. The next computer we got was a Gateway something-or-other. 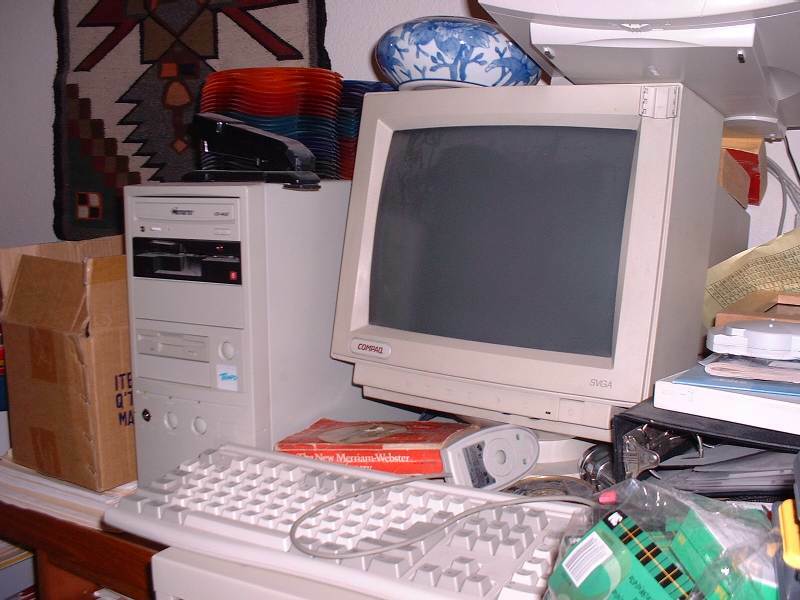 It is a Pentium II 400MHz and came with 64MB RAM, a 13GB drive, STB Velocity 4400 Graphics (16MB, nVidia RIVA TNT), a SoundBlaster AudioPCI 128D sound card and a DVD-ROM. I have upgraded it to hold its maximum supported memory, 384MB, added a second drive of 40GB, a CD-R/W drive, and an ethernet card. 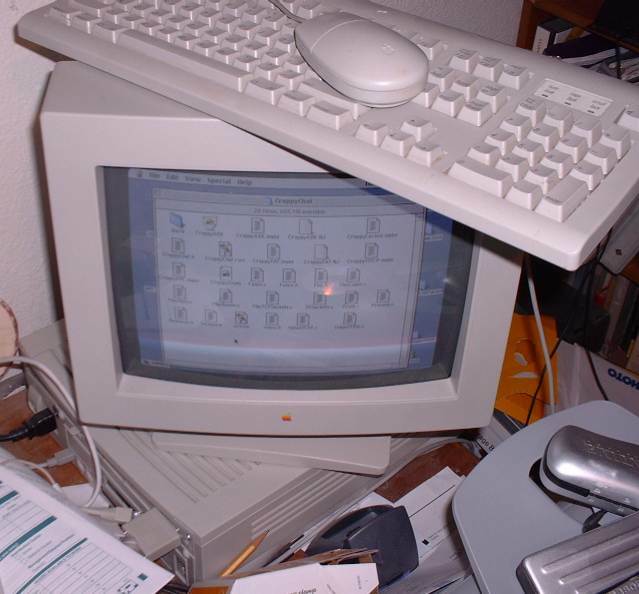 It is running Windows 98, 2000 and BeOS 5PE. My first laptop. 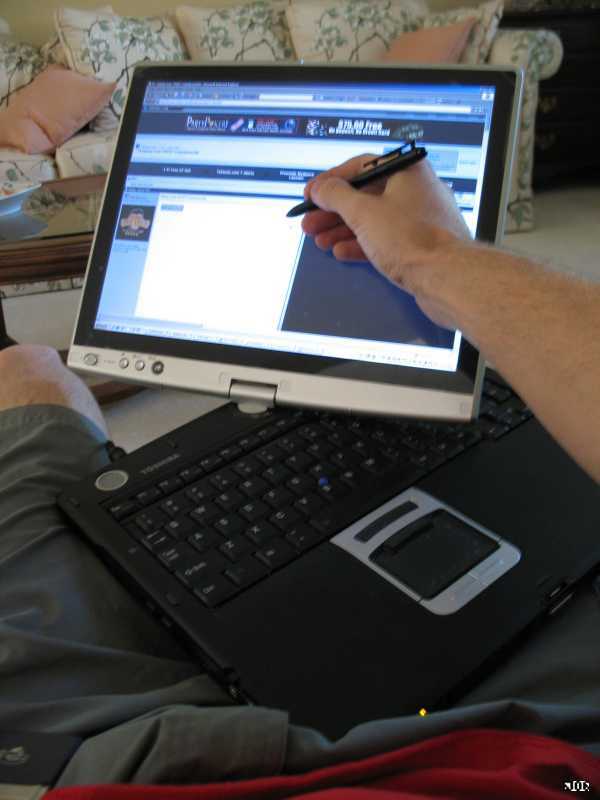 A Chicony MP993 laptop. A what now? It's a generic brand from Taiwan with no barnd markings whatsoever. It's got a Celeron 433MHz, 64MB RAM, 6GB disk, 2MB video with supposed "hardware MPEG2 decoding", a DVD-ROM, (RCA) Video-out, and a 15" display. No upgrades other than using a PCMCIA WiFi card. Although I have taken it apart a few times to grease the cooling fan (it starts buzzing), repair one of the PCMCIA ejector mechanisms, solder bad USB mounts and rewire the AC adapter plug - hey, I bought it online. I used to take it with me anytime I'm gone more than a day, it's been to Europe and Hong Kong and has only been dropped twice! I used it so much, the plastic is worn away where I rested my palm and fingers. 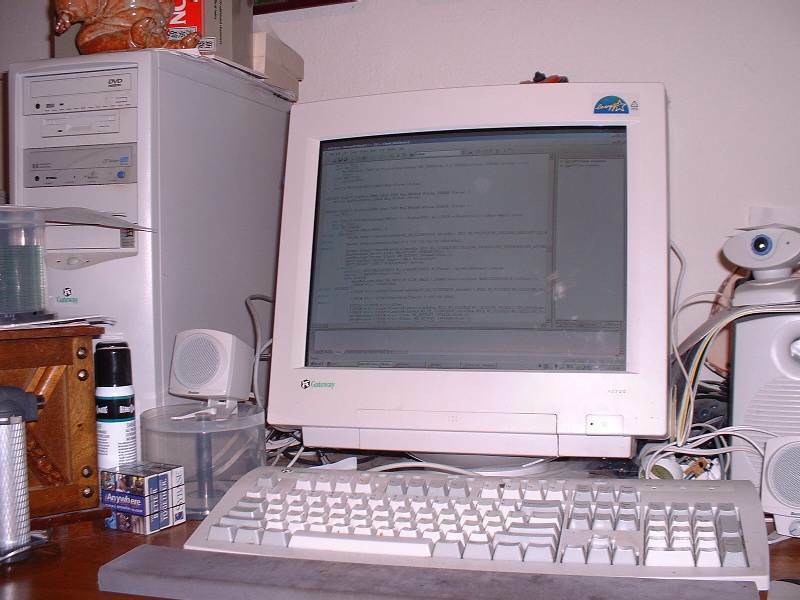 It was running Windows 98, 2000, BeOS 5PE and FreeBSD. It had finally died a smokey death, sparks and smoke eminating from near the power socket. A very nice 5 year run. This is a toy to tinker with, an IBM 8086, 8MHz with 640KB memory and 4 20MB drives. And a hand-me-down computer thats used for testing, too. It's got an AMD Athlon something, 16MB ram, and, uhh... a hard drive. My first home-built desktop. Or microwave? Read here. My second laptop & first tablet. A Toshiba Tecra M4 tablet. It was great, but has since died just short of 2 years old! A task manager replacement that allowsme a much more indepth view of application memory, handle, file and CPU usage. A free for personal use active virus scanner, unfortunately it is now approaching Norton and Symantec levels of bloatware and needless graphics as of V.8 that consume your resources :( Also new as of V.8 is a bandwidtch consuming link checker "SafeSurf" - be sure to disable it! Get 7.5 if you can. Free spyware scanner and removal tool. Unfortunately now that SE is no longer available the new version, too, has become very bloated with needless graphics and other resource-consuming crap. This page was generated in 0.037 seconds. All images and content are Copyright © 2003-2018 Erik Johnson, unless otherwise noted.